Most of us have a dear one, or know of someone, who has suffered due to cancer. With an estimated 1,735,350* new cancer cases diagnosed in 2018 in the United States alone the illness impacts many individuals and their families and friends. At Forrest Solutions, many of us have felt the personal bite of cancer and believe in contributing our time to helping make a difference. 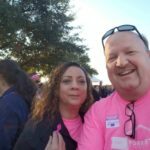 As a company, Forrest Solutions has been walking in the Strides Against Breast Cancer Walk for several years and this year our employees in multiple cities have joined the cause. Our New York team kicked it off first with the October 14 walk in Central Park. 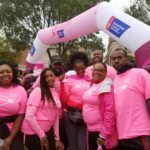 Dallas, Chicago, and Washington, D.C. walked this past weekend helping to raise even more funds for the cause. And for those who walk, it is an amazing experience being in the center of thousands of people all working for a common goal. Teams love the high energy, sense of fellowship, and sheer fun of being part of the walk. 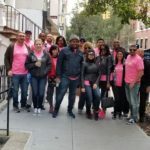 Luther Hoffmann, our New York City team leader said, “Raising funds for the cause is the most important goal, but it was great getting out there and walking with everyone. It is such a rewarding experience being there with everyone cheering each other on”. 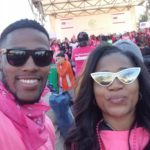 Lissette Umpierre, our Dallas, Houston, and Washington D.C. leader said, “Like many of us, Breast Cancer has taken a loved one or one of our loved ones has fought the fight. Forrest Solutions walked with hope and faith so that no one will have to fight alone. We have hope that a cure will come soon to help those affected—until then we continue to make strides against Breast Cancer”. As of this writing, we’ve raised over $2,800 across the four cities for the American Cancer Society. If you would like to donate, you can visit our NYC company donation page or make a donation directly by going to: https://www.cancer.org/.